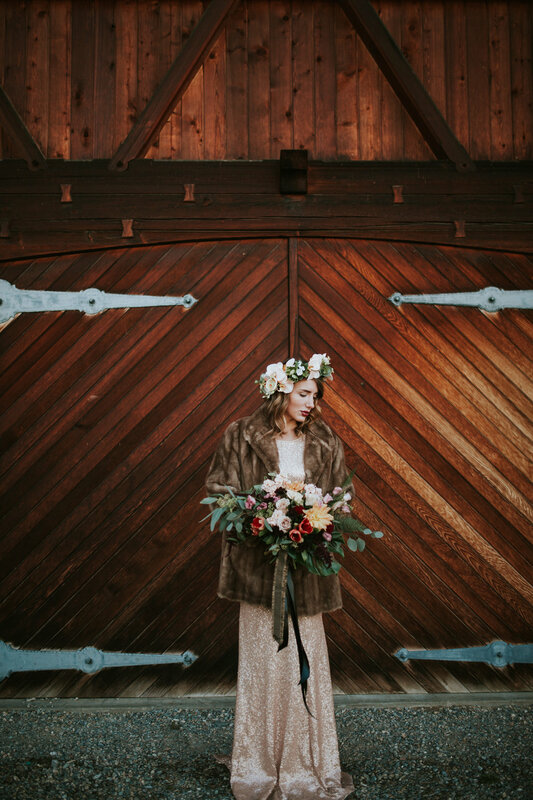 A few months back before we were buried under a record snowfall, we had the pleasure of hosting a group of talented ladies out at the Estate for harvest wedding inspired photoshoot. We were honoured to be the location of choice for our friends at MJ's Floral Boutique to showcase their inspirational designs. The natural scenery provided a stunning backdrop for the shoot, with the trees changing colours and our alfalfa fields boasting a glorious golden hue. We started off in our Purcell Hall, the smaller of our two barns onsite that fits up to 80 guests for an intimate wedding or celebration. 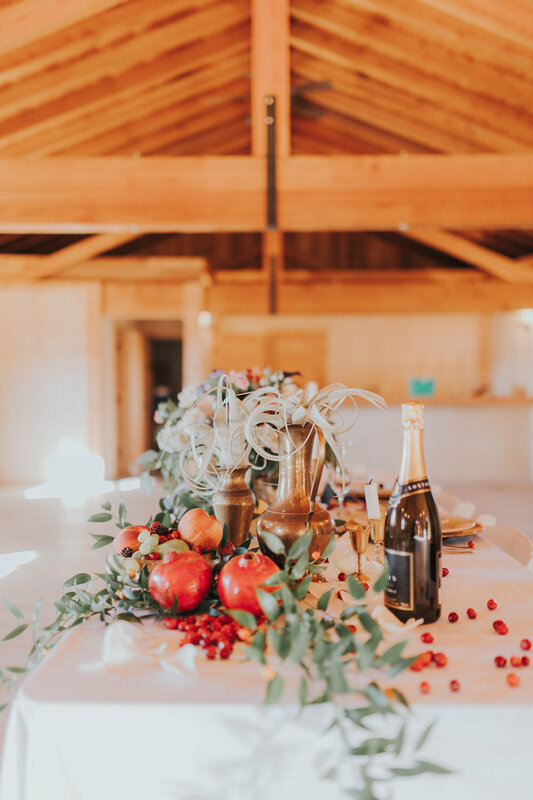 The table design was inspired by a Greek feast and featured rich colours, berries and other fruits as well as air plants and a stunning centre piece. 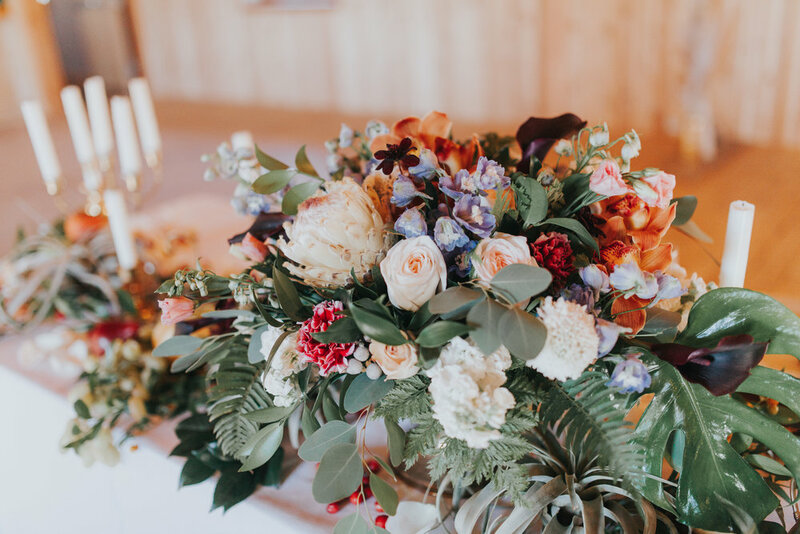 A beautiful concept for any fall wedding, or even a summer wedding seeking that luxurious and bountiful style with rich hues and texture. Our signature driftwood archway was adorned with Italian ruscus stems and lush ferns bringing that pop of colour and greenery to the background. A beautiful way to add to the archway while maintaining that Greek meets harvest season theme. Next up we toured around the property to capture shots of the models in their gowns provided by Tara's Boutique. 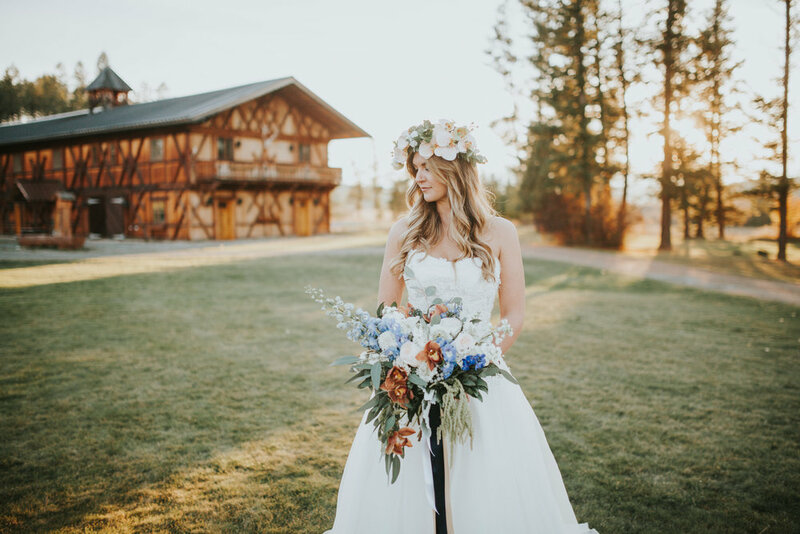 The bouquets and flower crowns were made by the lovely ladies at MJ's Floral. Check out a selection of our favourite shots below. PS. We still have a few 2017 Fall dates left so if you're inspired to start planning your Fall wedding, contact us today!